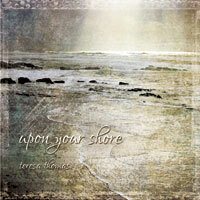 Upon Your Shore - By Teresa Thomas. Beautiful songs on faith and hope with a strong Messianic influence. There is a gentleness, yet a deep strength in the beautiful lyrics and melodic tunes of this album. There comes a time after a lot of life's storms when you just want to rest in the Lord. Find strength, peace and a deep sense that God is with you as you enjoy Upon Your Shore. Teresa Thomas is a native of the suburbs of Washington, DC. From the very tender age of 5, she began writing her own songs. Recognising her talent, her parents enrolled her in piano lessons and purchased a used, upright Cable Nelson advertised in the Washington Post for $100, which she still plays to this day. Her interest in the Classics couldn't hold her attention for long and she constantly found herself drifting away from her sheet music to experiment with her own melodic creations. Teresa has performed for countless weddings, retreats, worship services and conferences. Her compositions are inspired by Psalms, hymns, devotional writings, and the Hebraic roots of scripture. Teresa is happily married to her husband Michael and homeschools her three children. "Her wonderful voice welcomes you home, like a dear lost friend." If you would like the physical CD of the album Upon Your Shore - they are available for purchase on Teresa's website and at CDbaby.